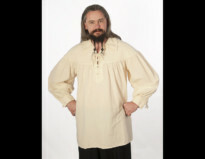 Dress Like a Pirate is an A+ BBB member. We have had an A+ rating since we joined BBB on November 7, 2012. By meeting BBB accreditation standards, we promise to resolve all complaints in good faith. We pay BBB to make this promise to you. Click this BBB badge to see our up-to-date A+ status. Our SSL (“Secure Sockets Layer”) certificate encrypts communication between your computer and our website. All of our pages are encrypted with SSL.Although the badge says that our site is equipped with a “Quick SSL certificate,” in fact we have the highest level certificate called the EV or Extended Validation certificate. You can prove this to yourself by (1) looking at the green address bar. On some browsers the whole bar turns green. On others, our name in the top left of your address bar will be green. Only EV SSL certificates can turn your browser address bar green. And (2), clicking the security symbol (usually a padlock) in the top left of your address bar, and drilling down to the certificate details. You can see that the certificate is an “EV” or Extended Validation certificate. EV means that GeoTrust verified our business before issuing the SSL. It’s more than just encryption. It’s their promise that we are a legitimate company doing business online. Click the badge to verify our relationship with GeoTrust. Click the security symbol in your browser’s address bar to view the SSL Certificate details. We process credit card transactions using Authorize.net. We are an Authorize.net Verified Merchant. Our relationship with Authorize.net protects you from from fraud. PCI Compliance is the credit card industry security standard. To do business with Authorize.net, our website must pass the PCI Compliance tests. 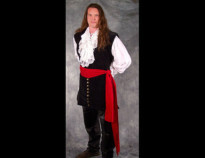 You can be confident in knowing that dresslikeapirate.com is a verified Authorize.Net merchant. 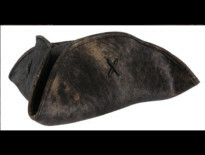 Click the Authorize.net seal to verify Dress Like a Pirate’s Verified Merchant status with Authorize.net. 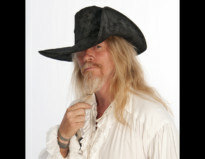 Dress Like a Pirate is a PayPal Verified Merchant. 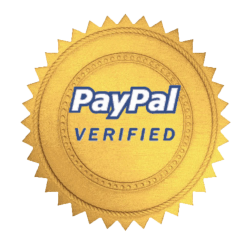 PayPal offers a host of consumer protections when you checkout using the PayPal method. Learn more about their anti-fraud and shipping protection here.